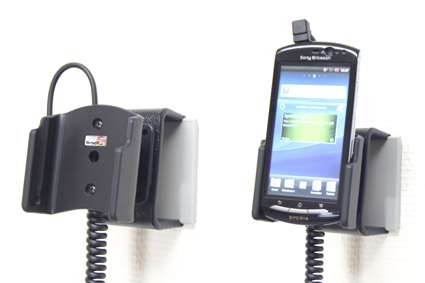 Use an active holder for your device on the road and you will always have a freshly charged battery! In addition, you will always have your device within easy sight and reach. Safe, comfortable and convenient! The holder has a neat and discreet design which blends well with the vehicle's interior. Your device is held securely in place in an upright position for maximum cellular reception. 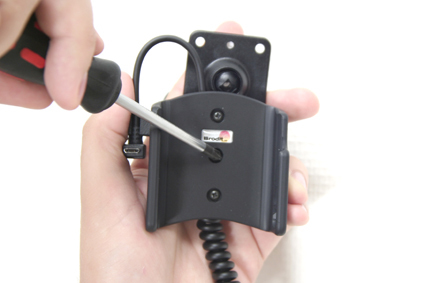 The holder is equipped with a cig-plug cable for connection to the vehicle's 12 Volt socket. When you place the device in the holder, it automatically connects to the charging unit. 1. Sony Ericsson Xperia Neo (For all countries). 3. 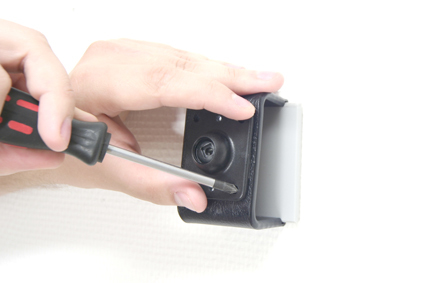 Place the holder over the attaching plate so the screw fits in the hole in the tilt swivel. Screw a few turns on the screw, just so the thread starts to pull. Pull the holder toward you and hold it slightly tensed, in the same time tighten the screw so the holder is pulled toward the tilt swivel. 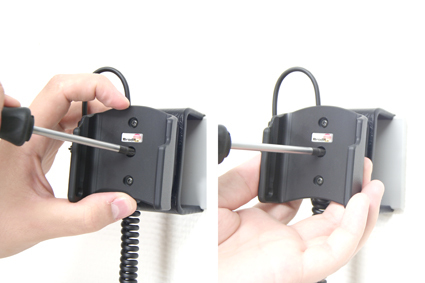 Tighten the screw until the holder is firmly in place, but still can be adjusted.